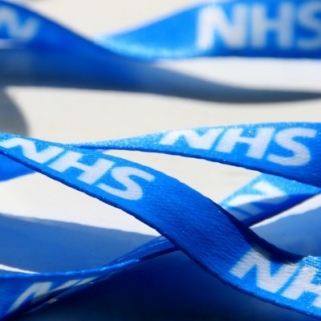 Varicose vein treatment procedures on the NHS are already restricted, but could be cut back further under new cost-cutting plans. Varicose vein surgery is one of 17 procedures deemed ‘unnecessary’ by the NHS, which means that it will only be offered with very good reason – where the patient meets certain conditions and criteria. Other issues on the list of ‘unnecessary procedures’ drawn up on consultation with NICE (National Institute of Clinical Excellence) are carpel tunnel, ganglia, eyelid lesions, haemorrhoids, snoring, glue ear, tonsil removal and breast reduction. The NHS hope that the proposals could save over 100,000 unnecessary procedures a year across the list and believe that alternatives (injections, diet or physiotherapy) will be effective in many cases. However, critics of the proposals have pointed out that varicose vein treatment can make a really positive difference for patients with leg ulcers. Around 80% of leg ulcers are caused by vein problems, the majority of which are varicose veins. Without surgery, the main forms of treatment for leg ulcers will be compression bandages to encourage blood flow, together with antibiotics in case of infection. So although the NHS is proposing to cut back on varicose vein procedures, experts believe that the NHS could actually save money by treating leg ulcers earlier, while also improving quality of life for patients. In the meantime, it appears more likely that many patients hoping to get treatment for varicose veins on the NHS face disappointment. Many patients are now choosing the private sector for varicose vein treatment, where the latest treatment options are available with short waiting lists. Cosmedics’ London Vein Treatment Centres offers a completely different experience, with high-tech solutions to get rid of the varicose veins on a day case basis. There is no need for a hospital stay – these procedures are carried out in clinic and patients are able to walk out and return home same day. There is no general anaesthetic, only a local, which also makes the procedure much more agreeable. Vein Website Visits Soar as Temperature Rises Could Hormones Be Causing Your Vein Problems?